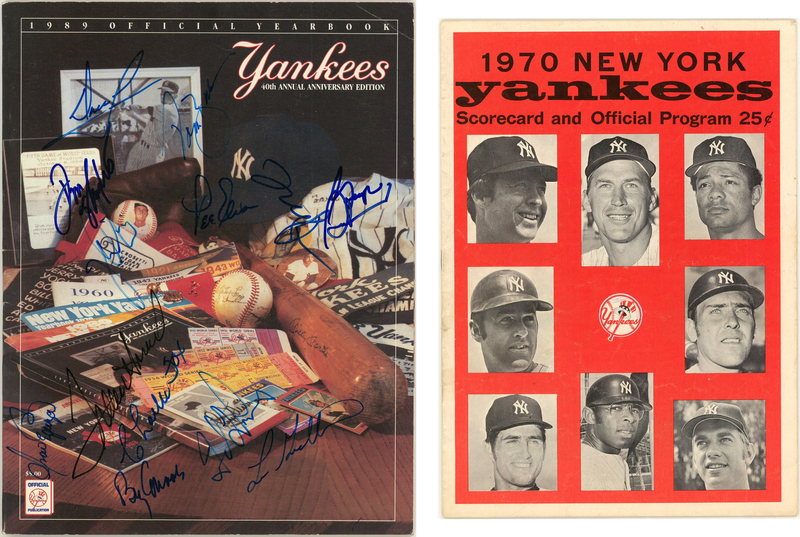 Offered here is a 1989 New York Yankees yearbook and 1970 single-game program, each signed by multiple Yankee players, executives, or team owners. 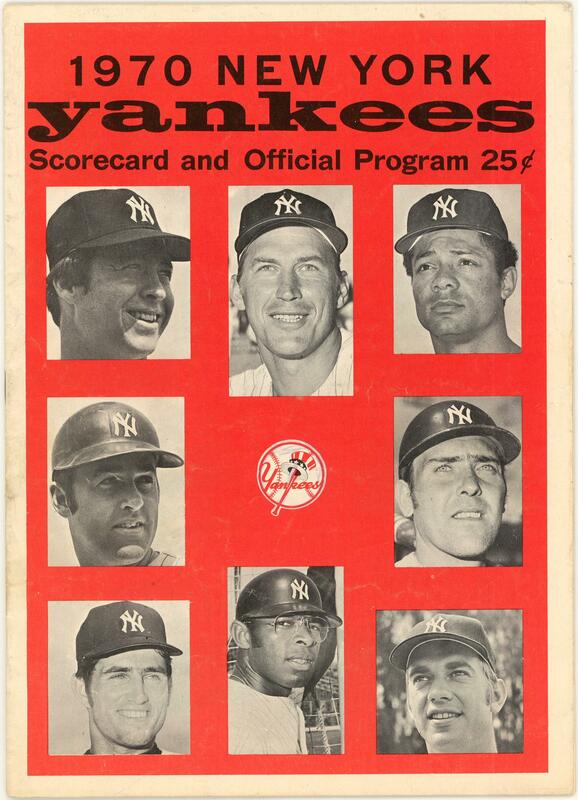 The 1970 program is scored in blue pen to the Yankees May 16th, 1970 home contest against the Detroit Tigers. 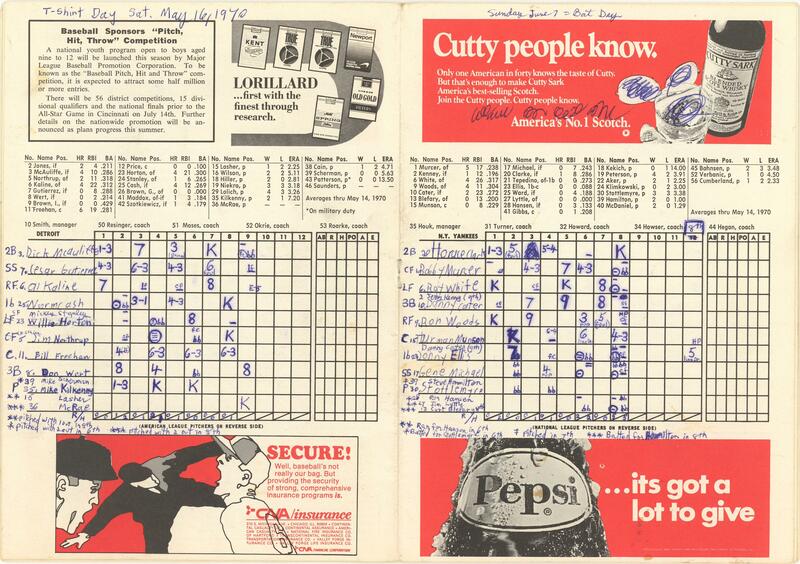 The Yankees won this game 7-4. 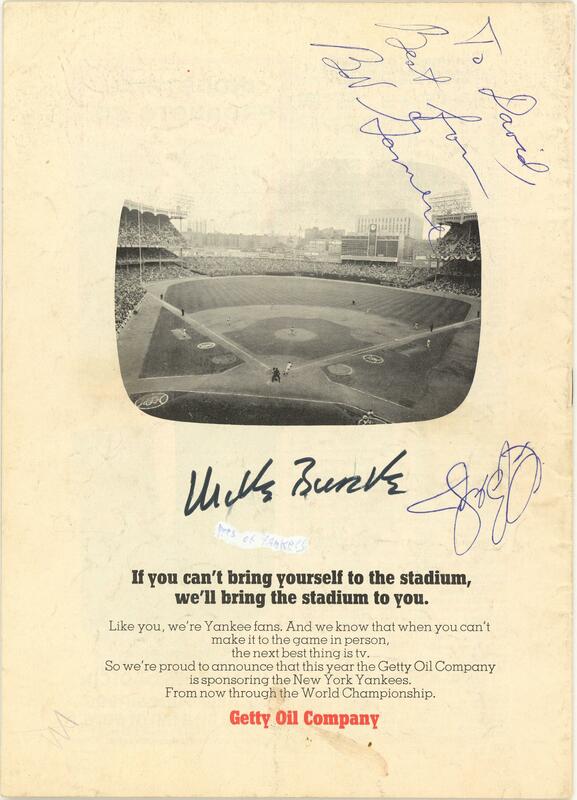 The back cover of this program has been signed by Bob Gamere, Michael Burke, and Curt Blefary in blue pen and black marker. Gamere appears to have inscribed “To David / Best from Bob Gamere”. This program comes with a COA from JSA (U64402). 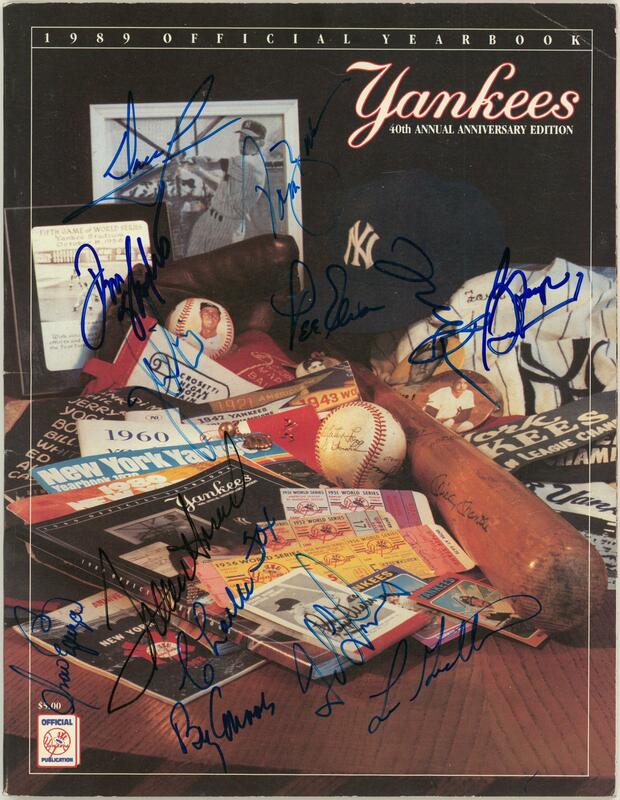 The 1989 yearbook features the signatures of George Steinbrenner, Lee Elia, Billy Connors, Dallas Green, Tommy John, Frank Howard, Charlie Fox, Alvaro Espinoza, Don Slaught, and several more. The signatures have been written in black and blue marker. This item comes with a COA from JSA (U64401).